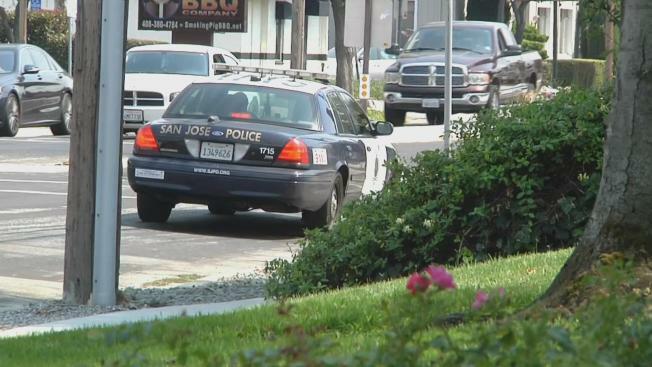 The city of San Jose is on the verge of declaring a public safety state of emergency because it doesn't have enough police officers to respond quickly to 911 calls, NBC Bay Area has learned. The police chief, police officers' union and city officials met for about two hours Monday at City Hall to discuss drastic staffing changes to make up for the shortage. It was, by most accounts, a productive meeting. "The chief's office, the city manager and us will work collaboratively over the next few days to restore staffing as fast as we can," said Officer Paul Kelly. president of the San Jose Police Officers Association. All parties involved seem to agree that at least 500 full duty officers are needed to staff the police Patrol Division. But as the department heads into its September rotation shift of officers, only 413 are available. NBC Bay Area obtained a letter from the city sent to the San Jose Police Officers' Association, saying the gap will have to be covered by redeploying 47 officers from other assignments back to patrol. That means Chief Eddie Garcia will need to make some unpopular decisions. "It's going to mean closure of more units, more people not investigating specialized crimes, things of that nature," said James Gonzales, police union vice president. In order to execute some of the proposed changes, officials say the city may have to declare a public safety state of emergency. "If the chief tells me we need to make particular declarations in order to get more officers into neighborhoods, I'm happy to support it," San Jose Mayor Sam Liccardo said. The POA is also supportive, but skeptical. "Today, the chief of police needs to fill 340 10-hour shifts of police officers to keep our city safe, to answer those 911 calls," Gonzales said. "That's not a realistic goal."